May his memory be blessed and may he rest in peace. On Sept. 5, 2016, Shalom Achshav (Peace Now), in cooperation with other Israeli civil society organizations, launched an initiative demanding a referendum on the future of Israel’s rule over the West Bank and on peacewith the Palestinians. Called Decision at 50, the project coincides with the approach of the 50th anniversary of the 1967 war. The referendum petition will collect signatures of Israeli citizens to demand a voice in deciding on the future of the Occupied Territories. Organizers say that until now this decision has been dictated by the settlers and their allies through a settlement enterprise aimed at making the occupation permanent. This enterprise has an immense impact on Israel’s national security and well being. The Decision at 50 initiative was spearheaded by a coalition of organizations and individuals, including Peace Now, Blue and White Future, former security officials, former politicians, cultural figures, academics and social activists. 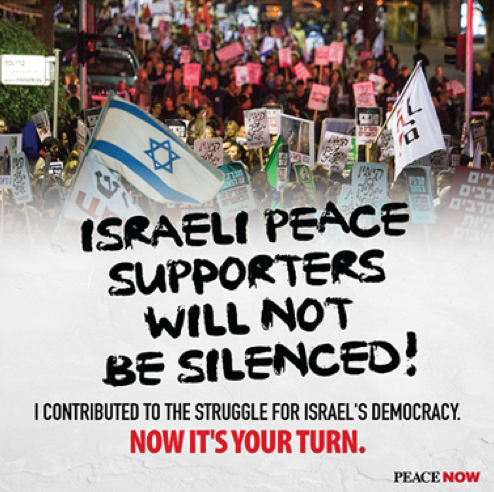 As part of the launch, movement leaders sent a letter to Prime Minister Netanyahu, in which they urged the referendum and requested a meeting with him. The letter to Netanyahu notes that, in the five decades since Israel captured the West Bank and Gaza in 1967, Israeli governments have established expansive and expensive facts on the ground in the West Bank and East Jerusalem in the form of settlements and related infrastructure that has siphoned off billions of taxpayer shekels. This de-facto settlement agenda, as well as other practices expanding and deepening the occupation, were taken without any clear policy decision on the future of the Occupied Territories – neither annexation nor separation. “After fifty years, the time has come for us to make a decision in this matter and to clarify, to ourselves and to the world, where Israel is heading and what character we want it to have in the coming years,” the letter says. Activists also hung signs outside of the homes of the Prime Minister and all party leaders. 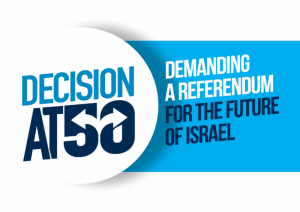 In addition, the movement has launched a media campaign calling on Israeli citizens to visit the Decision at 50 website, Facebook and Twitter accounts and sign the referendum petition. Q. Why hold a referendum now? A. Israel is at a crossroads. Fifty years of occupation have created rifts within Israeli society and tension between Israel and its allies. Our leadership’s indecisiveness is leading us to the point of no return. Fifty years is a symbolic date and should be used to muster public opinion to call for a referendum now in order to end the situation of non-decision and non-action. Q. What is the question to be posed in the referendum? 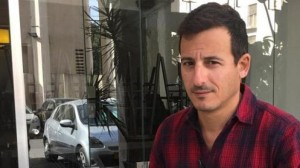 A. Formulation of the question will be part of the public discussion during the campaign for the referendum, but, before that, the demand for a referendum must be adopted by the Knesset. We invite you to join our demand to hold a referendum in order to put pressure on Israeli decision-makers. We will then work jointly to formulate the question that will determine whether Israel’s vision includes one state between the river and the sea or a two state solution. Q. The Knesset elections are the real referendum, and the Knesset is sovereign, so why by-pass it? A. The Knesset is indeed the sovereign body in Israeli democracy. The public accords to it the power to make decisions, big and small, which determine the lives of all citizens and the future of the state. However, no Israeli government, and no Knesset, has had the courage to make the monumental decision regarding the Occupied Territories. A referendum will allow the public to declare its view on this most critical matter, and becomes the vehicle which forces government action. Q. Why hold a referendum on this question specifically? A. There has never been an issue in the history of Israel which so dramatically affects all aspects of life in the way that the Israeli rule over the Territories has had for the past 50 years. This issue is essential for the future of Israel in terms of security, economics, Israel’s position in the world, and morality. 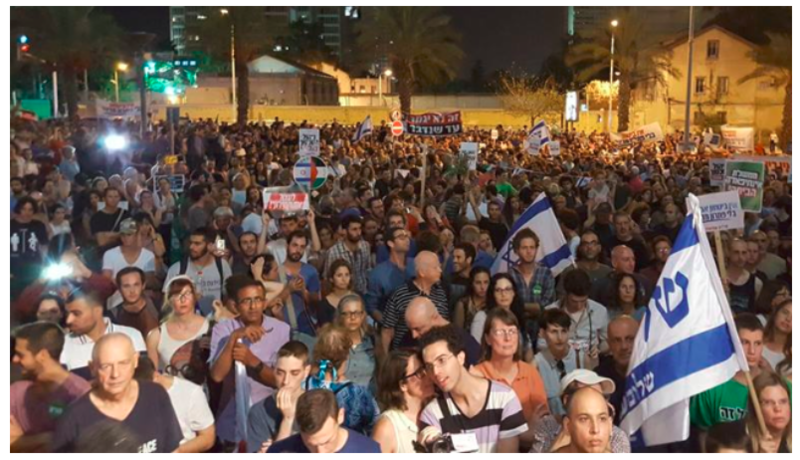 Last Saturday approximately 6000 people marched through the streets of Tel Aviv’s to protest the government’s policies in the midst of another wave of violence. 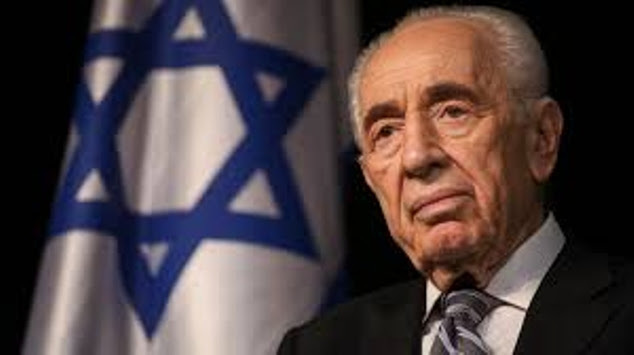 Demonstrators chanted: “Bibi you failed – go home,” “occupation is disastrous, peace is security” and “Jews and Arabs refuse to be enemies.” MK Stav Shafir from the Zionist Camp and head of Meretz Zehava Galon spoke at the conference, and called for a negotiated solution as the only way forward. Other speakers included the acting mayor of Rahat Ata Abu-Medaem, Chen Alon of Combatants for Peace who read out a message from a Palestinian member of the organization who could not make it to the march, our General Director Yariv Oppenheimer and Roni Hirschenson of the Parents Circle Family Forum. Next week we will be joining the Rabin memorial rally in Tel Aviv, “Remembering the Assassination, Struggling for Democracy.” During the rally our presence will emphasize Rabin’s path to peace and two states – for which he was murdered – and the urgent need to go back to this path today. Last week during the World Zionist Congress, Prime Minister Netanyahu argued that Settlement construction slowed down under his watch. He was His argument was based on a single statistic, which obscures far more than it reveals. 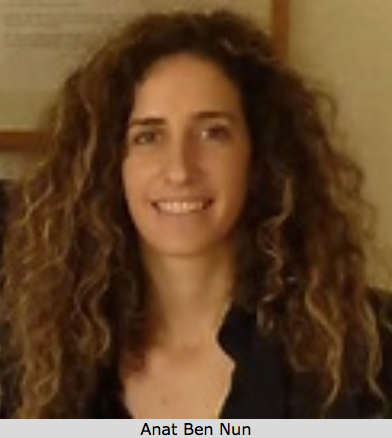 Click here for our analysis of Netanyahu’s real Settlement record, jointly authored by Lara Friedman APN (USA) and Hagit Ofran. The current reality in the region is a proof to why a two state solution is the only solution. Watch and share our new video. We are horrified by the deadly attacks in Jerusalem and the Palestinian village of Duma by right-wing terrorists. It is clear that the continued occupation and the permissive attitude towards the settlements encourage extremism and destroy Israel as we know it. Unfortunately, the right wing leadership does hardly anything to prevent violence, and sadly, continues to incite for purposes of political gain. 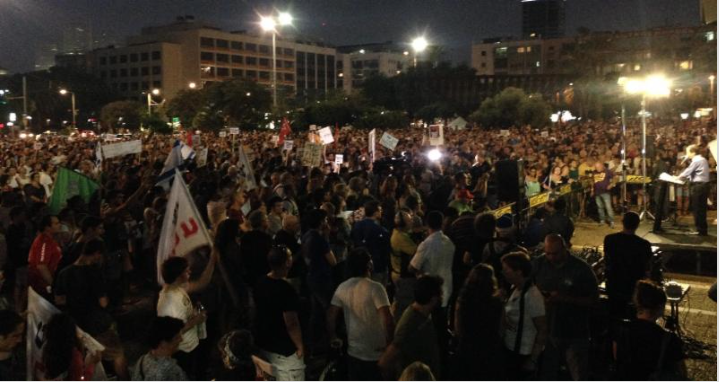 Members of Knesset who spoke at the demonstration included Opposition Chief Isaac Herzog (Zionist Camp), MK Amir Peretz (Zionist Camp), Head of Meretz Zehava Galon, and MK Merav Michaeli (Zionist Camp). 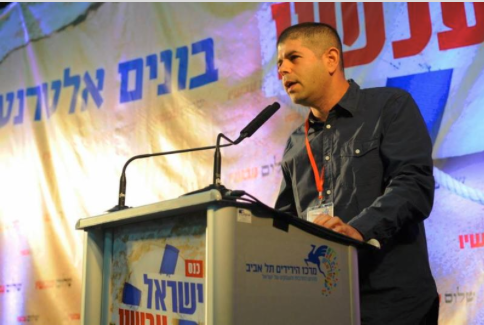 The other two speakers were Former Head of Shin Bet Carmi Gillon and Peace Now’s General Director Yariv Oppenheimer. Click on their names or photos for translated videos of their speeches. For photos from the demonstration click here. For the report on Ynetnews click here. 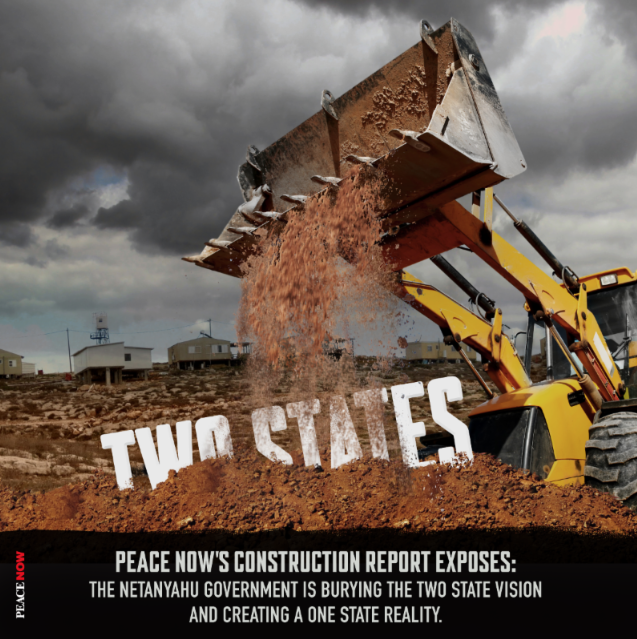 During its July 24 conference, Peace Now launched a new campaign to counter both the international anti-Israel boycott and the Netanyahu government’s pro-settler policies. 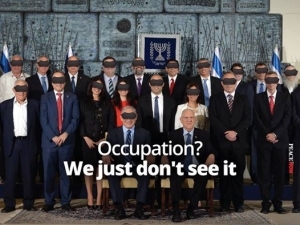 Titled “Support Israel: Fight the Occupation,” the campaign presents an alternative to certain “either-or” messages. “Netanyahu exploits fears over BDS (Boycott, Divestment, Sanctions) to stifle criticism of its support for settlements,” Ben Nun explains. By calling for the left and right to unite against boycotts, she says, Netanyahu attempts to create a situation in which you are either with him or anti-Israel. To oppose him becomes twisted to mean condoning boycotts aimed at hurting the Israeli economy and delegitimizing the State of Israel. At the other extreme, the BDS movement speaks of ending the Occupation, but its rhetoric and actions take broader shots, often condemning and harming Israel as a whole. And its effect is to push Israelis into a defensive, uncompromising stance. Both BDS and Occupation/settlement expansion reinforce polarization and stalemate. Peace Now promotes a third alternative: the two-state solution to bring Israel back within the Green Line and back within the fold of the international community. Canadian Friends of Peace Now is cautiously optimistic that the agreement signed between Iran and the US and five other major powers will curtail Iran’s nuclear arms ambitions. Of course, it would be better for Israel’s security and for world peace if Iran’s entire nuclear program was stopped, but no mutual agreement could have achieved that end. What remains are hopefully verifiable nuclear controls for at least a decade. These, under the most pessimistic assessment, might allow a determinedly aggressive Iran to break out to nuclear weapons within a year. This is considerably better than the two-month break-out time that is estimated to currently exist without a deal. The agreement does not address potential Iranian aid to Hezbollah, Hamas and other threats to Israel, for good reason. A nuclear control agreement could not have become a kind of omnibus wish list. It can only be hoped that this first step may persuade Iran to be more cooperative but there are no guarantees. We call upon the world powers to develop strategies that will curtail Iranian adventurism in the Middle East. Continued opposition to the deal from Prime Minister Netanyahu will serve no good purpose. CFPN urges future co-operation between the U.S. and Israel on the Iran file rather than more rancour, so as to ensure Israel some role in the nuclear deal’s implementation. There is no good alternative to the Iran deal. Continued tough sanctions would have created hardship for the Iranians but would not have put the brakes on a regime determined to develop nuclear weapons and might, in fact, have had the opposite effect. The agreement offers some breathing space and some leverage. Not ideal, but not inconsiderable either. Yesterday, we organized a protest tour to the site by the El-Aroub refugee camp, where settlers are trying to erect a new settlement. 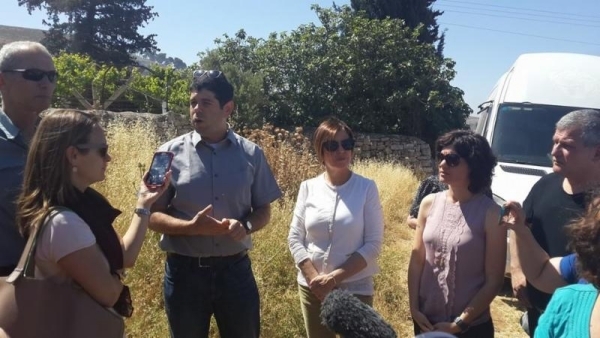 Meretz Head Zehava Glaon, MK Omer Bar Lev (Zionist Camp), MK Mickey Rosenthal (Zionist Camp) and MK Tamar Zandberg (Meretz) joined the tour and spoke against this development. Click here for more information about the attempt to establish a new settlement and it’s implications. The establishment of a new settlement outside of the “blocs” would be another proof that Israel does not want peace and would force a constant IDF presence by the El-Aroub refugee camp. While the settlers are trying to create facts on the ground and force the government and the IDF to succumb to them, the government has the power to stop this. Last week we sent a letter to the Minister of Defense demanding that he will not allow the establishment of a new settlement. Click here for the full article in Haaretz. The Defense Minister’s pilot program to ban Palestinians from Israeli-run buses to the West Bank was suspended following a local and international outcry. Peace Now, that demonstrated in front of the DM’s office in October when the decision was made, now too was one of the most dominant voices against the move.It’s becoming more and more clear that continued occupation is leading Israel to lose its democratic character. 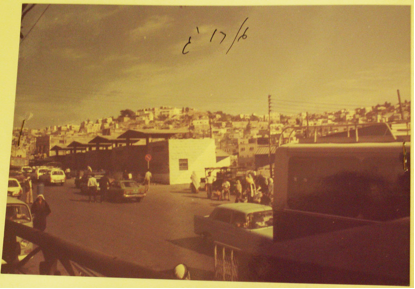 While the bus segregation plan was suspended, and must be canceled altogether, separation does not end there and exists in roads and in separate legal systems in the West Bank. We will not let our government lead us to the sins of the segregated South and of Apartheid South Africa. What happened this week at FIFA, which is likely to continue in other shapes and forms in the near future, proves that the world sees very clearly the difference between Israel proper and the settlements. The only way to prevent continued pressure and isolation is to end the occupation and arrive at a two state solution. His proposals on discussing the borders of the settlement blocs is the latest plank in a strategy crafted in 1996. Prime Minister Benjamin Netanyahu’s most recent proposal – negotiations on the settlement blocs – is nothing but a sophisticated trap. He can tell his ministers the talks are designed to win the Palestinians’ acquiescence for more construction in the settlements, without establishing a Palestinian state and ending the occupation. He can also present this initiative to the opposition and Israel’s friends abroad as talks on the future border between Israel and a Palestinian state. In fact, this initiative is geared toward buying quiet both at home and abroad, without paying a political price. Experience shows that Netanyahu’s method has several principles: pretending to strive for peace, presenting an initiative that the Palestinians can’t possibly agree to, and blaming them while creating facts on the ground aimed at torpedoing any chance for a two-state solution. Under the first principle, there has to be some diplomatic process, any kind of negotiation, with the world mobilizing to ensure some success while easing the pressure on Israel. The existence of a diplomatic process makes it harder for the left to oppose the government; any opposition comes mainly from the right. When the process fails, the public perceives it as a failure of the left, justifying the right’s path. Under the second principle, the initiative must seem expressing a sincere desire to attain peace. But it has to be crafted so that the Palestinians can’t accept it, due to its real meaning. This principle sounded reasonable, but it let Netanyahu declare anytime that the Palestinians weren’t delivering, so they didn’t deserve receiving anything in return. A stone-throwing incident or inflammatory words could always be a pretext for inaction. This is what happened when Netanyahu signed the Hebron agreementwith Yasser Arafat in 1997 and the Wye River Memorandum in 1998. In fact, these deals were redundant because they addressed the implementation of interim stages that had already been agreed on in 1995 and Israel was procrastinating in carrying out, including a withdrawal from Hebron. According to the Oslo Accords, the two sides were supposed to discuss the conflict’s final resolution and sign an agreement by May 1999, but Netanyahu never even started serious negotiations. Under Netanyahu’s third principle, when an initiative fails the Palestinians are to blame. This is what happened when they refused to recognize Israel as a Jewish state. Netanyahu knew that this condition – which sounds reasonable to Israeli ears – couldn’t be accepted by the Palestinians as a precondition. So as long as the Palestinians reject this, Netanyahu can portray them as rejecting the peace process. 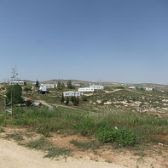 A similar move was his freezing construction in the settlements for 10 months in 2009 and refusing to extend the period. The Palestinians refused to negotiate as long as construction continued, so Netanyahu could blame them. The offer to negotiate the borders of the settlement blocs is yet another similar trap. Netanyahu has never presented a map of the blocs he’s referring to, having declared in the past that Hebron and Beit El would remain in Israel. If we go by the route of the separation barrier, 85 percent of the Israelis outside the 1967 borders (including Jerusalem) – 470,000 people – live in such blocs. In contrast, the blocs according to Palestinian negotiators – based on a map they produced at the Annapolis talks – contain only 59 percent of the Israelis outside the 1967 borders; 325,000 people. This is a gap of 145,000 settlers and nearly 100,000 acres. If Netanyahu’s goal is to obtain the Palestinians’ consent to continued Israeli construction in some settlements, without receiving assurances on borders, he’s deceiving everyone. The Palestinians can’t agree to construction in places that ruin any chance of establishing a viable state. If he intends to discuss borders, the dialogue must include East Jerusalem and land swaps. If Netanyahu can reach an agreement on borders and Jerusalem, he can reach an agreement on a permanent two-state solution. It would be foolish to agree on borders without obtaining anything in return and completing the entire deal. But Netanyahu has no interest in a resolution; this is only a trap. A diplomatic process is the best formula for putting the opposition to sleep. The left must avoid this trap and oppose his initiative of discussing settlement blocs. 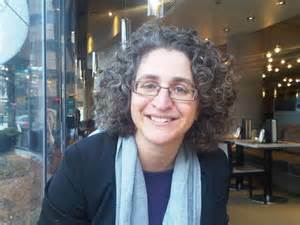 Hagit Ofran heads Peace Now’s Settlement Watch project.